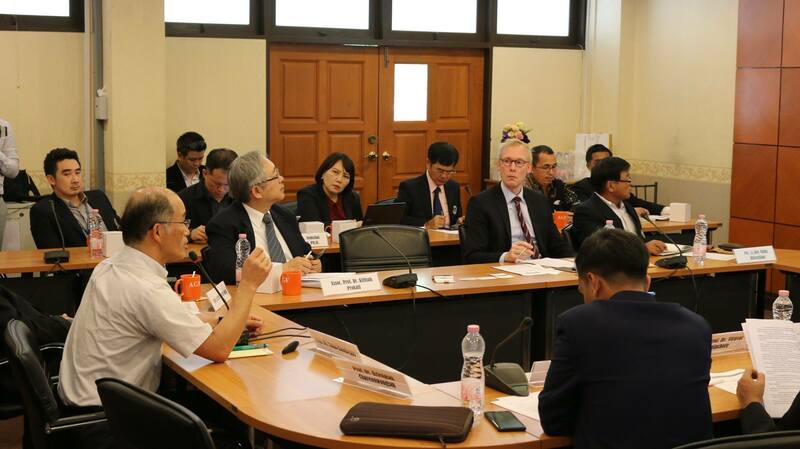 On 7 February 2019 CPG held a seminar on “Higher education reform in Asia: Challenges and Potentials in Comparative” at Thammasat University. Assoc, Prof. Dr. Kittisak Prokati from the Faculty of Law of Thammasat University opened the seminar with his welcoming words, pointing out the struggle with demands of higher education reform such as technological and economic changes as well as international competition. 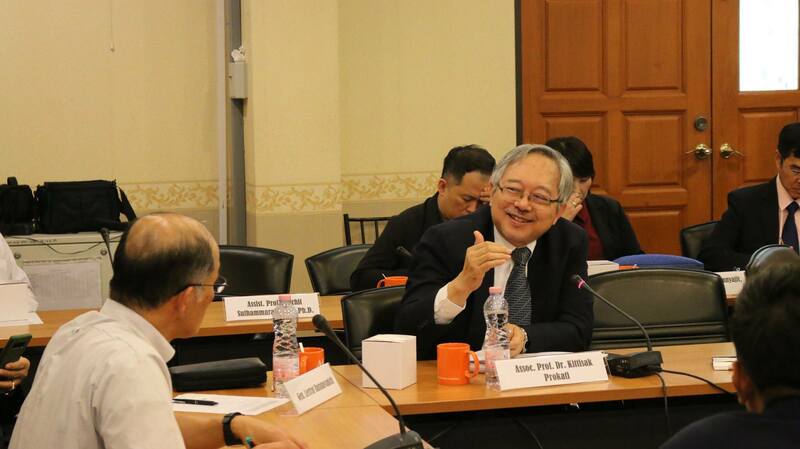 He also mentioned rankings and international evaluation, a declining educational quality and difficulties with the English language education as higher education reform matters in Thailand. The seminar continued with a keynote speech of Prof Dr. Takao Kamibeppu, Faculty of Urban Management, Fukuyama City University, Japan. 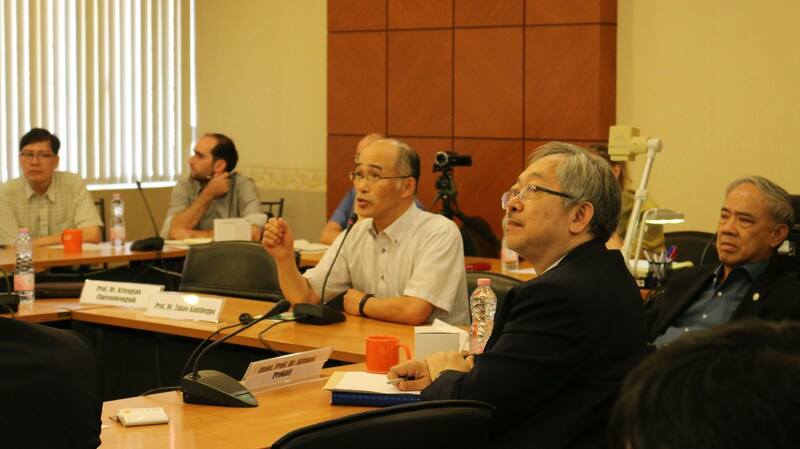 He first gave an overview over the Japanese higher education System, explaining that the higher education system in Japan was influenced by a fading lifetime employment system, demographic changes, the “Abonemics” and global competition. Also he focused on the incorporation process since 2004, which is supposed to reduce the control of the ministry of education over national universities but leads to a system of funding based on success, which causes financial problems for universities and a lack of staff. Concerning the recent development he mentioned the three future paths for Japan: comprehensive world class, specialised world class and local focus. He also pointed out that Japan focuses on global rankings by expecting 10 Japanese universities to be in the top 100 in world rankings by 2024. He concluded with the gap between imagined global competition and real life competition impacts, explaining that world ranking have no direct impact on the domestic higher education market in Japan because Japan is insulated by language and tradition from the Anglophone academic market. In the following panel response and discussion Assist. 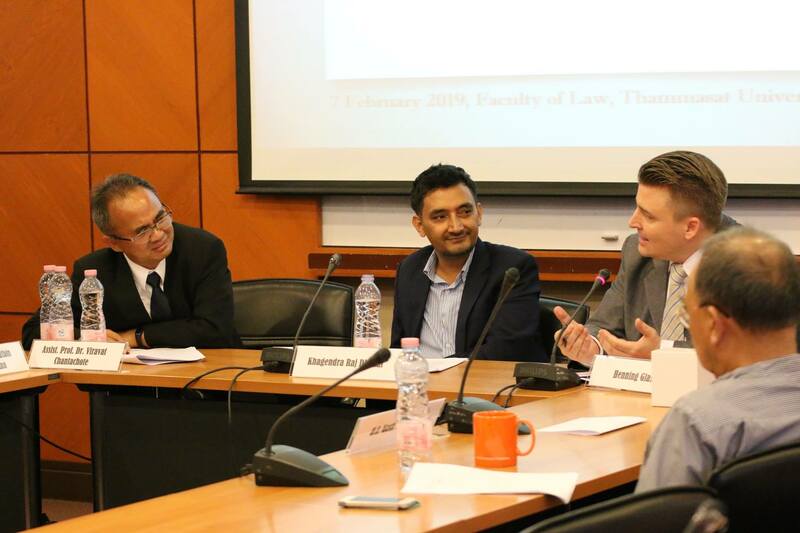 Prof. Dr. Viravat Chantachote, Faculty of Law, Thammasat University, spoke about the higher education system in Thailand and the upcoming structural reform including a new ministry of higher education and a new law of higher education. He pointed out, that the fundamental principles in university management will be social responsibility, academic freedom, independence, equality and good governance. He also mentioned the crisis and challenges of the system such as the decreasing number of students, the decrease of budget, too much unnecessary regulation by law and administration, the declining of employment and as a general challenge the changing labour market demanding. Following Khagenda Raj Dhakal, Chairman, Nepal Policy institute gave an overview over the Nepalese higher education system pointing out that Nepal has problems with brain drain, research being left behind and a focus on examination. Also he mentioned Nepal’s intention for international exchanges. Finally Henning Glaser, Director of CPG, spoke about the higher education systems in Germany and Thailand. He focused on the philosophy of pure since in higher education in Germany and the absence of a direct connection between Universities and practise and commercial success. But he also mentioned neoliberal changes in the German higher education system. 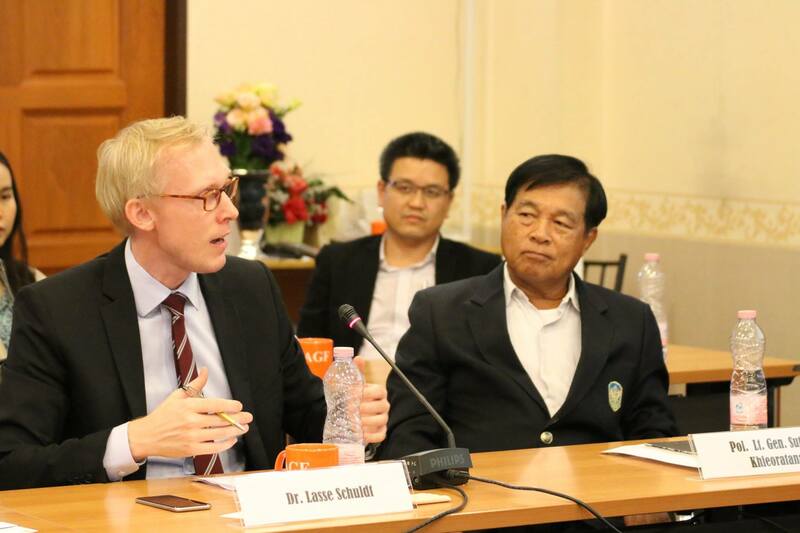 He pointed out that compared to Germany, where calls for professors are often based on higher salary, there is a higher solidarity with the Universities in Thailand. He shared his personal opinion, that the system in Thailand is blurring because a guaranty of a save employment after graduating from a high ranked university does no longer exist due to the fact that personal skills became more important for the Thai labour market. As a big challenge he pointed out e-studies, which lead to a competition with foreign Universities offering e-Learning programs and drew attention to a need of an ASEAN strategy for higher education.